The men’s golf spring season technically started last month, but golf is a sport meant for sun, not the freezing gusts that have blown through this past March. Sunday and Monday’s matches at the Hershey Cup Invitational were the first real sunshine The Garnet had seen, and the team members hoped that the newfound warmth would buoy their play. 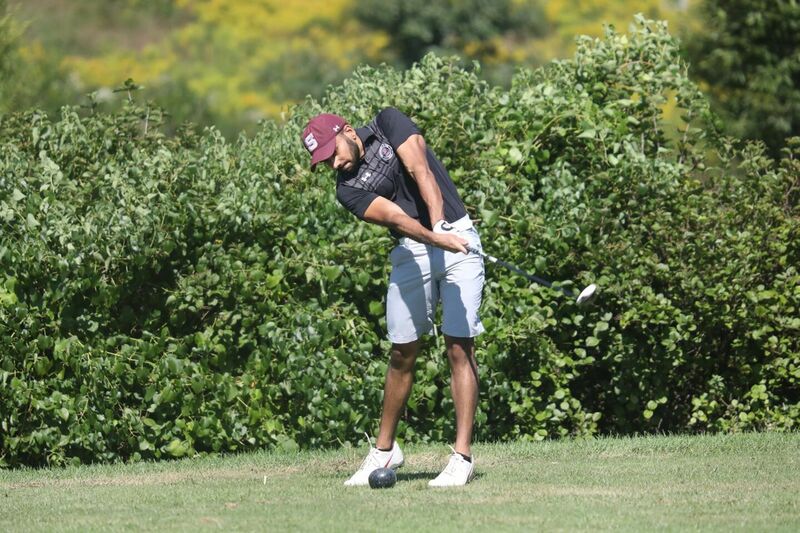 The golfing in question, however, was a little bit rocky, as the Garnet placed tenth in a field of fifteen teams. Number four player and sophomore starter for the A team, Michael Brown ’21, said that the team was not happy with the results, but acknowledged that it faced difficult competition. Wittenberg and Carnegie Mellon, who took home first and second place, are ranked fifth and fifteenth nationally. “[It was] not our best finish, but we faced really tough competition… we all could’ve scored better… our scores were average for us, but we’d like to be better than average,” said Brown. The Garnet played the East Course of Hershey Country club, a 6,605 yard par 71, known for fast fairways and a multitude of bunkers. It has history, having hosted numerous pro tournaments and Hall of Famer Ben Hogan as the club pro from 1941-1951. Men’s Division III golf tournaments are usually played in a two-day format, with teams fielding their five best players and dropping the highest score. The total of the remaining four scores are added to determine the overall winner. “Each round’s about four, four-and-a-half hours… it’s a big time commitment,” Brown said, noting the sheer amount of time each tournament represents: players play a full eighteen holes each day, as well as a practice round the day before, so the team will play 54 holes in one weekend. 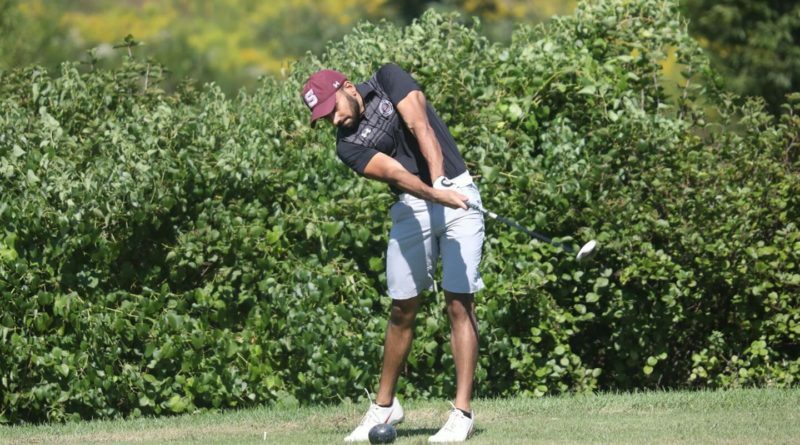 Senior captain and number one player Vamsi Damerla ’19 led the Garnet, shooting 80 (+9) in the first round but recovering to shoot 75 (+4) in the second, finishing at par on the back nine with a birdie on the 13th hole. Sophomore Michael Brown ’21 also had a decent showing, leading Swarthmore with a 77 (+6) in the first round and finishing 27th overall. He was closely followed by senior Dan Altieri ’19, who shot 157 (+15) and finished 33rd. Sophomore Ankur Malik ended his day at 161 (+19) and Senior Nick DiMaio finished with a 162 (+20). Swarthmore’s “B” team had a more successful run at the Widener Invitational, placing fourth in a field of thirteen. The college is coming off a fourth place finish in Centennial Conference play the previous year, as the starting lineup had to incorporate two new players. This fall season showed promise, with the Garnet bringing down down its average match score and improving their national ranking. The team’s ranking, however, is back up to last season’s. Brown concedes that “we’re right back where we started,” in terms of rankings, but that the team is “building momentum” for the upcoming conference tournament. But there’s only so much time for Swarthmore to accelerate into the end of the season –– only two tournaments remain before conferences. Glad to see Dan “+15” Altieri getting the press coverage he asked for! Hilarious, why don’t you try doing something productive with your time—a novel concept for you I’m sure. Dan’s article shed light on systemic problems in the athletic department that needed to be shared; how he plays should have literally no bearing on how it’s viewed (never mind that he played fine). Furthermore, Dan has one of the best scoring averages in Swat golf history, is the leader in tournament rounds played, leader in tournament wins, leader in tournament top 10s, a two-time All Conference First Team recipient, and a stand up dude. Piss off.